U.S. employers may petition for skilled or unskilled alien workers to meet temporary or seasonal needs in positions for which qualified U.S. workers are not available. It is important to note that the employer's need for such services must be temporary. There is currently an annual cap of 66,000 visas for H-2B workers. There is currently no annual cap on visas for H-2A workers. The first step is to apply for a Temporary Labor Certification from the U.S. Department of Labor (DOL). You must meet all requirements of the DOL, and you must prove that there are no U.S. workers available for the proposed position(s). After approval of the application, you must attempt to recruit eligible U.S. individuals for the proposed positions. After the recruitment process is complete, the DOL will subtract the number of accepted U.S. workers from the requested amount of H-2A workers. 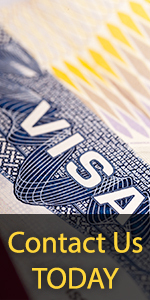 If no U.S. workers were able to be recruited, you will be eligible to apply for your requested amount of visas. You will then petition for the agreed amount of H-2A Visas with USCIS. After approval of this petition, foreign workers may apply to the consulate in their home nations. Form I-129 /I-129H (Petition for non-immigrant worker).